Stem cells are a type of undifferentiated cells that have the remarkable potential to develop into many different cell types. They can be found in multicellular organisms as a sort of internal repair system. Once a stem cell divides, each new cell becomes a new stem cell or another type of specialized cell. There are two important characteristics for stem cells. First, they are able to renew themselves by cell division. Second, stem cell can be induced to become specific cells in tissues under certain conditions. There are two broad types of stem cells based on the living period they existed: embryonic stem cells and adult stem cells. Embryonic stem cells are isolated from the inner cell mass of blastocysts. 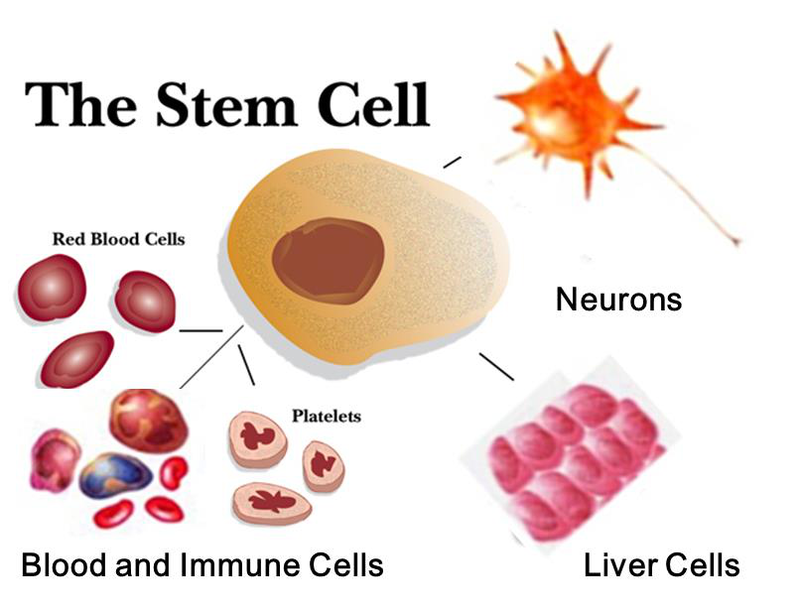 Adult stem cells are isolated from in various tissues. Stem cells are functioned in the development of embryo, growth and replacement of adult tissues. Researchers try to use stem cells to treating diseases such as diabetes, and heart disease. However, many studies still remain to be done in the laboratory and the clinic as regenerative or reparative medicine. As a primary manufacturer of recombinant proteins, Creative Biomart provides recombinant proteins of several sources, grades and formulations for stem cell research applications. Stem cell therapy has been seen thought as a promising method to restore functional losses caused by aging, injury, and/or disease processes - especially in the brain - such as Alzheimer’s and Parkinson’s diseases, two most prevalent aged-related diseases. Stem cell therapy is a technique that replaces aged, damages, and/or diseased cells with newly generated cells derived from various stem cell sources. There are many stem cell sources including embryonic stem cells, adult stem cells, and induced pluripotent stem cells. Embryonic stem cells are pluripotent stem cells while adult stem cells are multi-potent stem cells. The obstacles involving stem cell-based therapies are that the molecular regulations of each stem cells are very complicated and dynamic microenvironments, in addition, influence their differentiation processes. In regard to transplantation (studies), the differentiated cells should not only survive long-term but also will need to functionally integrate into the host living system after injection (or incorporation). Such difficult-to-predict situations act as a deterrence for stem cell-based therapies to work in a clinical setting. 1.Thomson J A, Itskovitz-Eldor J, Shapiro S S, et al. Embryonic stem cell lines derived from human blastocysts[J]. science, 1998, 282(5391): 1145-1147. 2.Yu J, Vodyanik M A, Smuga-Otto K, et al. Induced pluripotent stem cell lines derived from human somatic cells[J]. Science, 2007, 318(5858): 1917-1920.